he hung out with one.. as very good friends.. I'm surprised people still remember the game in the top left. Next we're probably gonna see some Space Ace. @Link Silverblade, idk if the arcade I played it in had a broken machine, or if the difficulty was just all the way up, but I couldn't get past the opening. @ThePandaPool , I wouldn't be surprised to find out that the machines were rigged. After all, the game had very limited content, and once you beat it, you tell your friends the ending, and they tell their friends, and before you know it, hundreds or maybe thousands of people stop playing their game and giving them money. @Link Silverblade, well, all of the arcade systems had difficulty levels that could be changed by the owner. That's why you could destroy on one day/location, but get totally wrecked another. And when the difficulty was raised all the way up, they were damn near impossible to play for more than 10 seconds. @ThePandaPool , it's been available on PS4 for ages, with a move guide so you can learn it all. You should check it out. Memories! @TheMightyImp, I dont have a PS4... I may build an arcade cabinet after I finish my house, and I'll be sure to add this game. @ThePandaPool , shame... Well, it comes bundles with space ace and dragon's lair II. Really cheap..
Is that Dirk the Daring? Pretty deep pull. Peter Dragon. }:-) Oh. 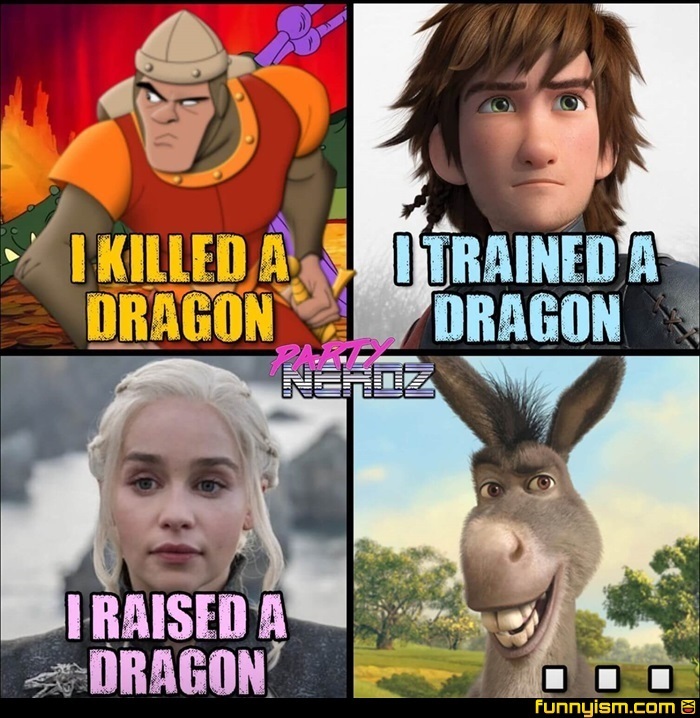 And technically, she raised three dragons.